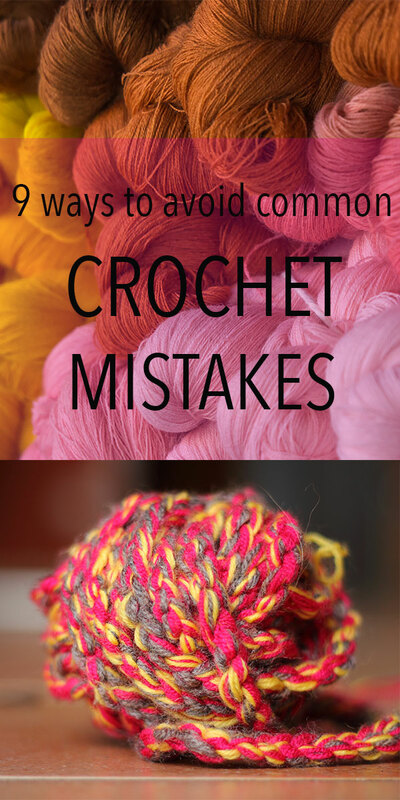 In this article we are going to look at some common crochet mistakes, and how to make sure that they don’t happen to you! It is that sinking feeling we have all had when enthusiastically starting a new hobby. You think you have followed the instructions in the crochet pattern on the youtube video. You are so proud of how well you are getting on. Then suddenly it hits you. You aren’t really getting on at all. Mistakes are a part of learning. I genuinely think that if we push through them, they often help us to become better in the long run. But that’s only if they don’t put us off entirely when they happen. So although it’s great to learn from your mistakes, it is even better to get off on the right foot. Enthusiasm (and in my case a healthy pinch of stubborness too) is the key to mastering any skill. It’s best not to have that positive energy stamped out before you have taken all of your hooks out their new packet. 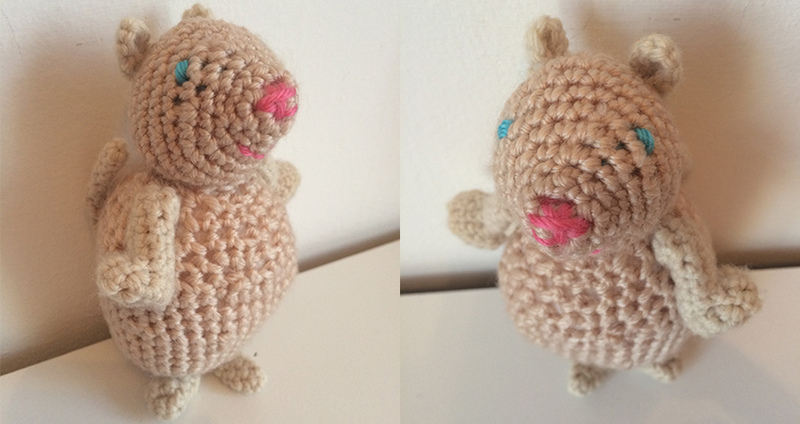 I made a lot of mistakes at the start of my crocheting journey. 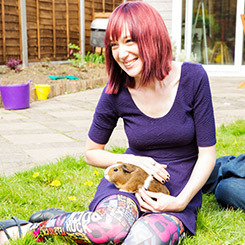 I managed to get through the early days with a combination of YouTube, Google, books and advice from friends. All of which was pointed at fixing mistakes, rather than avoiding them. So let’s take a look at what went wrong, and how you can make sure that you avoid it happening to you too! It sounds obvious, but you would be amazed how many of my mistakes have been as a result of missing a single instruction or note in a pattern. Before stitching each row, read the instructions for it to the letter. Skim reading is not your friend. It is all well and good following the instructions, but you will find yourself in deep water fairly rapidly if you are translating them incorrectly. The most common mistake is confusing whether the author is referring to double crochets US or UK. Check before you start to avoid wasting your time. Not sure what a sl or sc is? Don’t just guess! You will often be able scale your work up or down by using different hook sizes. 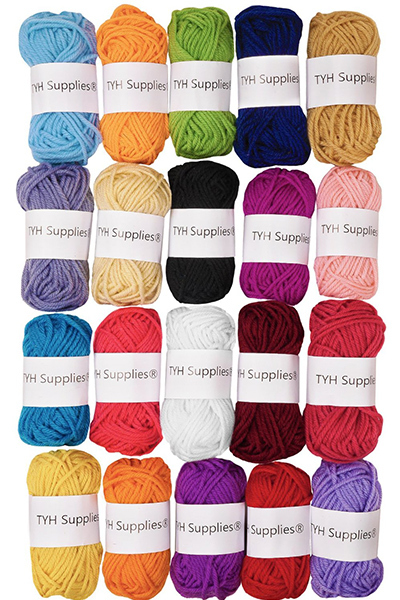 You will also be able to switch textures and final appearances with varying brands, types and thicknesses of yarn. But there are parameters to this, and the only way you will find out what works is with practice. Counting might seem on the surface to be easier than fiddling around with a stitch marker, but the larger your rows become the more you will struggle. Even if you are sitting in a quiet room with no distractions, losing count is still a possibility. Realising you have lost count is frustrating. But if you lose count without realising then your row will have the wrong number of stitches. You won’t realise until you can’t produce the subsequent row correctly. I have tried moving on and adjusting the numbers of stitches to make the piece total work again, but this just leaves you with an odd bump in your finished work. If you realise that you have previously lost count, you will need to unpick the row to the point where it went wrong. 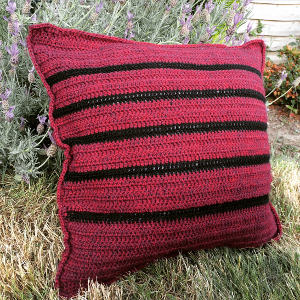 If you are making a large crochet blanket, throw or cushion cover for example, you will have a lot of rows. If they are patterned rather than plain, it pays to take notes. A tally of your current row number and a note of the hook size you are using are invaluable if you have several pieces on the go at once. I uploaded a picture to instagram the other day of a cushion cover I had just finishing making. The piece was complete, sewn together, totally done. I had spent several minutes propping it up to get the light right and fiddling around with the setting to make the picture appealing. Can you spot the mistake? Because I sure didn’t until I had uploaded it to Instagram and put on one of their fancy filters. I had dropped a stitch. What I should have done is reviewed the work as I went along. Yes it was a repetitive pattern I had created, but that was no excuse for not just briefly glancing at a row each time I finished it. If I would have done that I would have been able to unpick just one row and fix it. Instead, I had a head in hands moment while staring at my iPhone. Totally avoidable. We live in a multi-focal society. Constantly being pulled in different directions by varying information channels. I bet you are reading this with one ear on the television or whilst attempting to stop your toddler gluing her ear to the table. 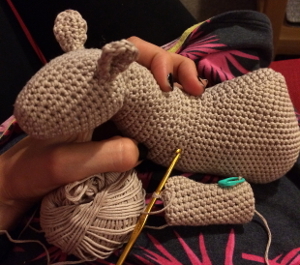 One of the great things about crochet is that you can do it whilst watching a movie, supervising the kids craft projects or even reading an article online. But the danger is lack of concentration. 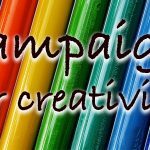 If you are just starting to learn, or moving on to a new skill, or importantly making something for display, sale or to give to someone else, you will need to put more of your concentration into the piece. Turn off the television or wait until the kids are in bed. You will soon be comfortable enough to multi-task, and it won’t give you too many issues as long as you remember to follow points 1-6! When you find something you love, then you want to go full throttle. But you will find it more satisfying to take a deep breath and start at the beginning. Start with easy stitches in a fairly large size, using a yarn that is easy to hold onto. Follow a simply pattern for a blanket to begin with, toys and decorative objects in beautiful shapes and textures will come in time. In fact, if you learn the basics right, they will all come along quicker than you think. Perhaps the most important point of all. If you are creating things that you will love, not just what you think you should want to make, then you will pour your heart and soul into it. Obsessing over the details and truly making something amazing. Keep your dreams small to begin with, and then watch them blossom into truly awesome creations. Mistakes happen to everyone, but following these simple ways to avoid them will help you to stay on track for the most part. If you can begin your crochet journey with a positive experience, you will be more inclined to continue it. And the further you take it, the more fun it gets.